This post is sponsored by The Washington State Beef Commission. The ideas and opinions presented are my own. Thank you for supporting brands that make it possible to continue providing great content. The health world is hyper-focused on the importance of protein for strength and weight loss. With good reason. Protein is a powerful part of any eating plan. It helps build muscle, improves energy, and reduces hangry moments. Hangry: Hungry + angry (also: tired, frustrated, hormonal, etc) often strikes between 3 and 4 o’clock, when your blood sugar tanks and you’d sell your children for a box of crackers. I’ve found, when I eat several servings of protein through the day I feel more in control of my food choices and have fewer cravings. I knew beef was a great source of protein, but until recently, I was concerned about the fat and calorie content. I didn’t think a juicy steak or slow-cooked roast could be a regular part of my healthy diet. That’s why I was excited when a study published in 2017 addressed this very concern. BeefWISE followed 99 overweight adults through a 16-week weight improvement program. The participants followed a high protein diet with regular exercise. Half the group included 4 or more servings of lean beef each week while the other half ate none. At the end of the study, test results showed statistically the same improvement in the health of both groups. This is super exciting! Science-backed evidence now shows lean beef can absolutely fit into a healthy eating plan. Even the healthiest food can be eaten in unhealthy amounts. For me, the key to eating in a healthy way is portion size. I stick to a 3 – 4-ounce serving of lean beef per meal, a little bigger than a deck of cards, then make sure to fill my plate with colorful vegetables and whole grains. This approach to healthy eating gives me consistent energy throughout my day – even those days when I run to the store, run on the treadmill, run after my kids, and run out of patience. MANY cuts of beef you already love are considered lean beef. Which is leaner, Steak or Chicken? The need to be healthy doesn’t stop when we get busy. As a matter of fact, it becomes even more critical when we are running in six directions at once. For this reason, I’ve developed a toolbox of easy ways to put nourishing food on the table even on the busiest days. One of my favorite tools is featured in the video below. I used a pressure cooker to prep a roast from the round with very little hands-on time and almost no mess, then turned it into 4 new meals. Thanks to the make-ahead approach, these easy meals can be on the table in under 30 minutes each – some as little as 15. Healthy food should be a celebration of flavor! I focus on color, texture, and seasoning, so family dinners always feel like “normal food.” The plan, after all, is to stay healthy for life, I want everyone to enjoy the journey. Lean beef is a delicious way to get powerful protein to help me reach my fitness goals, reduce cravings, and stay energized through my busy days of balancing work and family. Choose your favorite cuts of lean beef with confidence and enjoy! Tender lean beef smothered in tangy barbecue sauce with a lightened creamy coleslaw. This is a protein-packed meal. 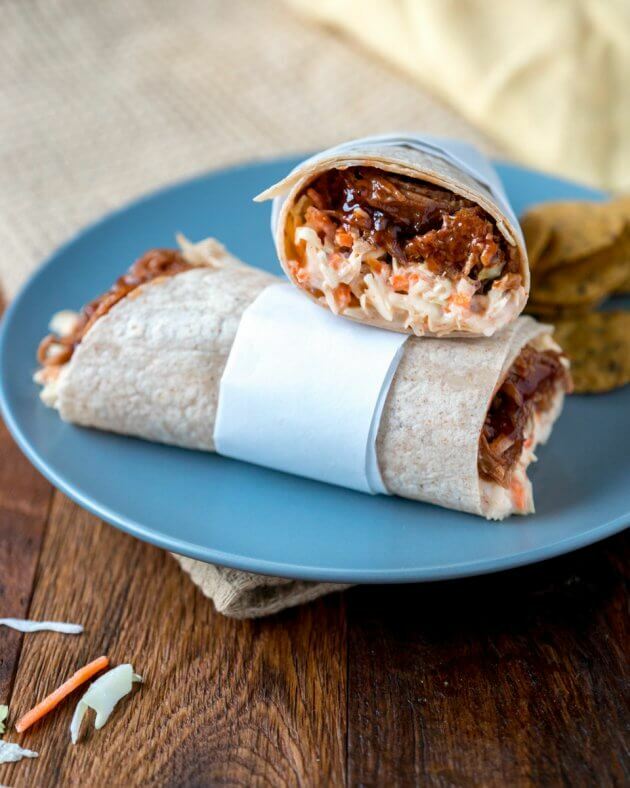 Families on-the-go love this super-quick healthy barbecue beef wrap. Get even lighter: Swap the tortilla for butter lettuce leaves or serve over half a baked sweet potato. 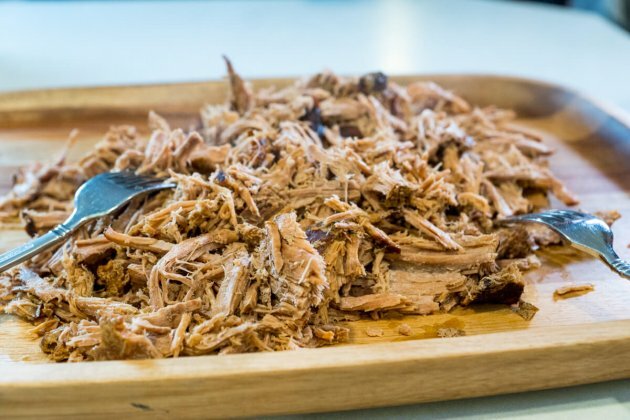 Measure the shredded beef into a medium bowl and mix in the barbecue sauce. Place the coleslaw mix in a medium bowl then add the remaining ingredients the use two forks to toss until evenly coated. Place 1 tortilla on a cutting board or plate, spoon ½ cup of the shredded beef in a column in down the center of the tortilla, top with ½ cup of slaw, then roll the tortilla tightly around the filling - secure with a toothpick if needed to keep it from unrolling. Repeat this step for the remaining 3 tortillas. Cut the rolled tortillas in half. Serve two halves with an additional ½ cup of slaw. And it is what our grandparents did. Making the roast from Sunday serve all week. Will be making these wraps soon! Such great suggestions for stretching a roast! I’d have to make this roast and divide it up on a day when my husband wasn’t home! He thinks all roasts are single serving. That doesn’t help with my grocery budget! This is such a helpful post full of healthy ideas for the week. Thanks for making my meal planning for this week easier! You’re welcome! We can all use new inspirations from time to time. Glad you can use these tips! This is a great idea! Eating leftovers can get boring fast, so having all of these fun alternatives is super smart. Totally, it helps to have a plan to keep dinner interesting. Those wraps looks so scrumptious! Wish is had one for lunch. Now! I’m trying to eat somewhat low carb, so I would love this meat and coleslaw on its own without the wrap. I love how easy it is! It’s super easy and skipping the wrap makes it even easier! And, there are some great low-carb wraps available if you feel like having the best of both worlds. This is such a great idea to make beef wraps. My hubby would love this! I don’t make wraps too often because he complains that they are not filling enough but I think this would work for him. I am definitely going to try this recipe. Thank you for sharing! 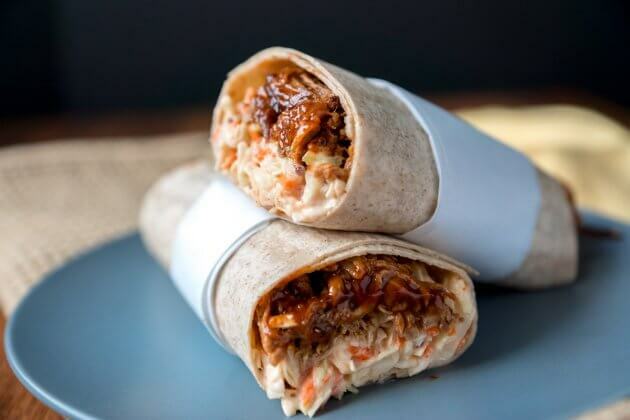 This is totally a hubby friendly wrap. Mine loves them. Lean beef makes them yummy and tummy-filling. Let me know what he thinks! I love the beauty and simplicity of using this for a few different meals. And they all look so delicious! Totally agree that healthy food can and should be delicious – and this is the way to do it! Yay! Yes, so simple to do the longer cooking all at once then make quick and easy meals in the following days. LOVE beef! My family is going to love these wraps! Perfect! Let me know what they think! I love all of these great ways to use beef. Love the wraps. Thanks! Glad you are inspired by these ideas. Convenient, delicious AND healthy!? I’m sold. Such awesome tips! Thanks for sharing. You’re welcome! Thanks for reading 🙂 Glad you are inspired by these recipes. 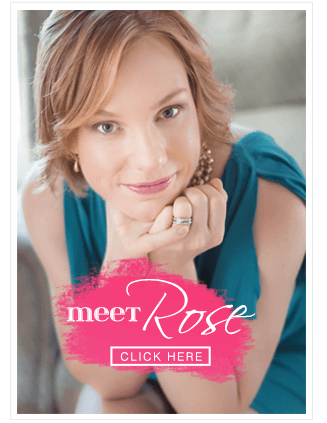 I love this – so many good tips! Thanks, Alyssa, glad you think so! I totally agree with you when you say “Healthy food should be a celebration of flavor” Just because it’s healthy doesn’t mean it needs to be gross! These beef wraps look SO good! !